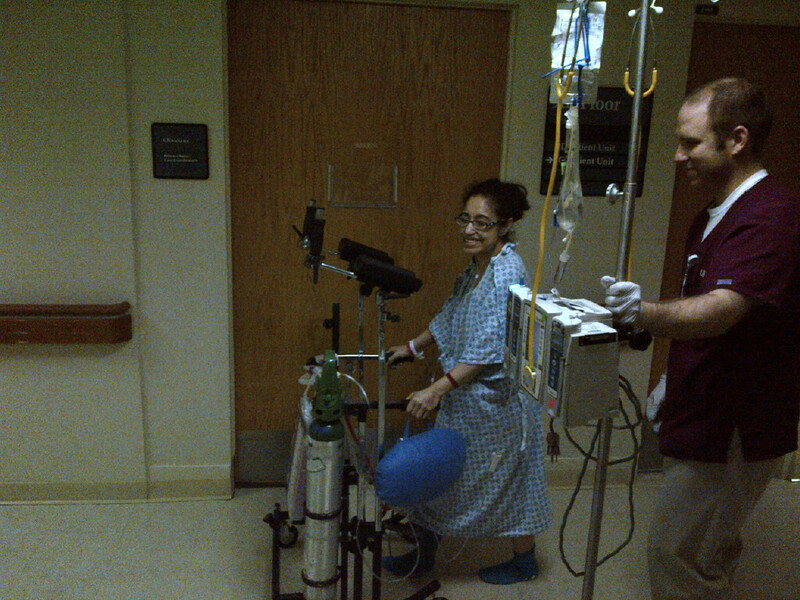 Update: Yolanda received her new lungs on January 7th, 2013! Family and friends of Yolanda Martins are raising money for uninsured medical expenses associated with Yolanda’s double-lung transplant. Yolanda has Lymphangioleiomyomatosis (LAM), a rare lung disease (5 chances in a million!) that mostly affects women in their mid-thirties and forties. LAM usually progresses over time, and destroys the lungs. There is no cure for LAM at this time. For many, the disease progresses slowly but Yolanda is declining rapidly. In January of 2011 she was using oxygen only with physical activity and a lung transplant was something that “may be needed”. Now, she uses oxygen 24/7 and a transplant is the only option for life. Make a tax-deductible donation to Yolanda’s fundraising campaign! $25 provides assistance with physical therapy needed after transplant. $50 contributes to lodging near the transplant hospital. $100 pays for 1 of the dozens of anti-rejection drugs needed for the rest of her life. Yolanda has chosen to fundraise with HelpHOPELive in part because HelpHOPELive assures fiscal accountability of funds raised and tax deductibility for donors. Donors can be sure that funds donated will be used only to pay or reimburse medically-related expenses. 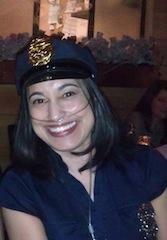 After recovering from her transplant in January 2013, Yolanda was living without oxygen. She then got a cancer which was very specific to her situation, but the chemotherapy was successful. However, as a result of the chemotherapy, Yolanda is now rejecting her lungs. She tried a blood transfer treatment which did not work. Currently, she is trying an experimental treatment, which is basically her last option. All of these treatments bring lots of uninsured medical costs. Donating to Yolanda’s HelpHOPELive campaign would be an incredible help to her and her family. 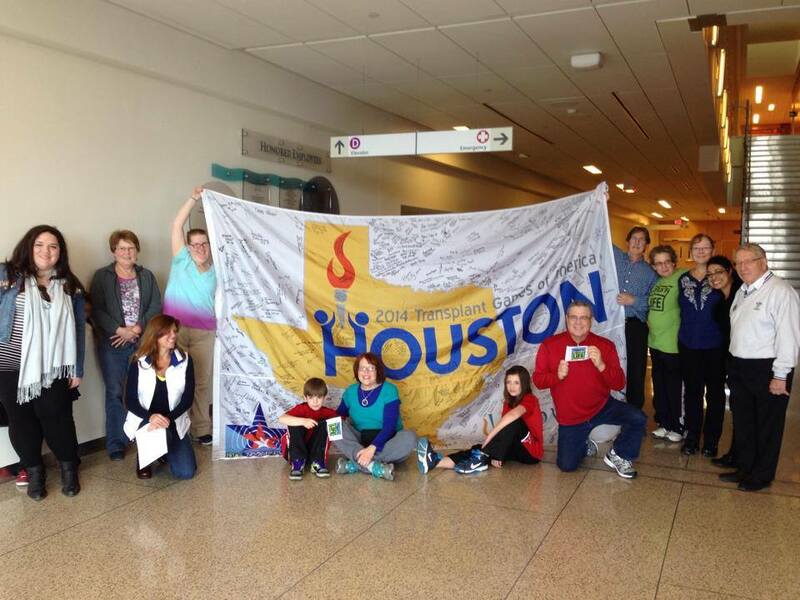 Yolanda is now battling post-transplant lymphoproliferative disease. Basically, it’s a lymphoma that occurs in 5% of transplant patients after they receive their transplant. Chemo has left Yolanda weak and tired. Her family and friends are still raising money for her uninsured medical expenses. Your donations do make a difference! Yolanda - as a fellow LAM sister about to be listed I wish I could give you more. But Trisha Martin told me about what is going on & I want you to know I have always thought about you before, during and after your transplant & now. I wish I could give a bit more but I know every little bit will help you. I am hoping things turn around for you, sister. You are a beautiful person inside and out. 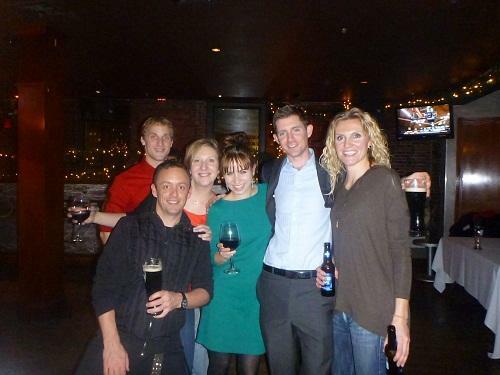 Hi everyone, I am happy to say that Yolanda is back in Boston and doing well. There is still some nausea but it is great to see her go for a walk by herself without oxygen. Hi everyone, Yolanda is still in Pittsburgh recuperating. Her lungs are doing fine. However, she was suffering from nausea and vomiting, lost a lot of weight and was back in hospital for a week where some of her medications were substituted and she was able to start eating again though some nausea still exists. She is coming along slowly but surely. Hi all, Yolanda was released from hospital yesterday. She now has to regain her energy and strength. She will remain in Pittsburgh as she will have a biopsy mid March after which, she will probably be able to return to Boston. Future check-ups will be done, every few months, here in Pittsburgh, for at least a year. Thanks for all you Prayers, love and support. you r such a remarkable woman and I send u my best wishes and prayers for the future. Hi Yolanda, James' Mom here again, George and I wanted to make a small contribution towards all the expenses you will have after you receive your transplant. We look forward to the day James informs us that you have your new lungs and you are on your road to recovery. You and your family are in our thoughts and prayers. Take care and keep up the Pilates. Hi Yolada, This is James' Mom I met you once when you were attending Toronto University and James brought you by our home in Georgetown. I just made a small donation I received from a very good friend Sarah Mackie. Sarah has fought her own health battles and wants to wish you well with your plight. Take care and we are all thinking of you and your family. Though many years have passed since we have seen one another as children know that you and the entire Martins family are in my thoughts and prayers. Sending my love and support as you wage your courageous battle. Heather Boyer (Roberts). Yolanda I'm a friend of Paula's I will pray for you and your family for strength and courage to go through the battle you are facing. Friends and family are important and they help you through the roughest of times. Kristina and Tom care about you so much, they asked that in place of gifts under a tree, we donate that money to help you. Our prayers and thoughts are with you! Hi Yo, I will pass onto my friends & co-workers....you are always in my thoughts and prayers...love you lots.